Buy Ladyfuzz a Coffee. ko-fi.com/ladyfuzz - Ko-fi ❤️ Where creators get paid by fans, with a 'Buy Me a Coffee' button. 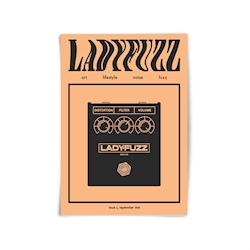 Ladyfuzz is a zine committed to showcasing women, non-binary and gender non-conforming creatives. Welcome to our Ko-Fi page. If you like what we do you can support us here. Please check out our recent goal about raising money to trademark Ladyfuzz. Thanks! Secured Payments. Support goes to Ladyfuzz's account.